One of the many reasons I love Austin, is the hidden treasures that can be found in the city. The Texas Folklife Gallery is one such treasure. The stated mission for this gallery is :Texas Folklife is a statewide non-profit organization dedicated to preserving and presenting the diverse cultures and living heritage of the Lone Star State. The gallery is located in this simple, modest house. I have driven past this house before, not realizing the importance of this location. Last week, I visited the gallery with my sister, Emma, and my friend, Nancy. We went to the gallery to see the Quilting the World’s Conscience Exhibit, where Tierney Hogan has one of her quilts on display. I had read the story and seen the quilt, Stories My Father Told Me, on Tierney’s blog. Walking into the gallery and seeing this piece hanging, front and center, was quite an inspirational experience. All of the quilts on display present a powerful reminder of the importance of preserving and respecting our diverse cultures. Tierney, thank you for your art and inspiration. Fabric and Pie…What a day! Fabric and Pie…who needs anything else? The cream pies are sold whole or in slices. The fruit pies are sold whole or in 10 oz. sizes. They have a scrumptious chocolate fudge pie and also a chocolate fudge pecan pie. We were in Pie Heaven. Our last stop was in New Braunfels at the Quilt Haus. This shop has a great selection of cute baby and children fabric. Two of my friends are not quilters, so they just went along for the pie. We will make quilters out of them one day. They gave us their free fat quarters. We walked around like quilting nerds, wearing our Shop Hop Ribbons. I bought this small wall hanging kit to piece and embroider. I just loved the wool birds. I loved this elephant panel. I do not how I plan to use it yet. This fat quarter of sassy cats also made it into my bag of goodies. I will not be in town to visit the San Antonio shops that are participating in the Shop Hop. Tomorrow, I will be driving back to Austin to visit the Quilting the World’s Conscience Exhibit at the Texas Folklife Gallery. I am looking forward to seeing Tierney Hogan’s work of art. My sister and Nancy will be visiting the gallery with me. I also hope to be able to visit Nancy on Sunday at the Uncommon Flea Market where she will have some of her beautiful work. This year started with me dragging my feet and having no real direction when it came to quilting. Thanks to my blogging friends and their insight and support, I am now back on my feet. Also, this week with my granddaughter has been so motivating. Seeing her create in drawing, music, dance, fabric, writing, conversation, and play, was SO inspiring. I took photos of some of her art pieces and plan to make some sort of quilted wall hanging based on her work. She also had this t-shirt that she said was her favorite because it looked like her. I want to see what I can do with this image of her shirt. The shirt no longer fits her, so maybe I can make something from the shirt. During my week away from my sewing studio, I got to visit with my friend, Nancy. She is so full of ideas and creativity. I wish we lived in the same city and shared a sewing studio. When we visited the Valli and Kim Quilt Shop, in Dripping Springs, I was in awe of all the beautiful fabric. I must have had a case of the Fabric Flu, though, because I left without buying fabric. I was so overwhelmed with ideas when I saw the fabric, and I just couldn’t decide on what to do. After a restless night, thinking of all the fabric, I knew the only way to cure the Fabric Flu was to go back to Dripping Springs. Luckily, my granddaughter’s ballet class is just a block away from the shop. I got a bit carried away with my purchases, but I feel SO much better. I also visited the B&B Quilt Shop in Buda. I purchased some cute Bee fabric to make a Bee My Valentine pillowcase for my granddaughter. They also had a bird/inspirational panel that I couldn’t resist. It is for making a book, but I do not yet know how I plan to use this fabric panel. I know I may be fixated on birds, but why not stick with what you like? I purchased this bird fabric and an inspirational word fabric. This could be for a pillow or a wall hanging. I have so much to think about now…Where do I start? My plan to not buy fabric until I utilized my stash just went out the window. I still plan to continue using up my scraps by making scrappy quilts and making fabric from scraps. Home again and ready to go! In 2016, I went to a couple of local quilt shows. It is always so inspiring to see the beautiful creations on display. A thought came to mind, that maybe, one day, I could have one of my quilts in a quilt show. Then, this past February, I visited my friend, Jeana, and dropped off the quilt top of the Tribute quilt I made in memory of my mother. Jeana is always so supportive and informative; and I admire her work. I was surprised when she said that I should enter this quilt into the Salute to Texas Quilt Show. This was a boost to my confidence as a quilter. Since then, I added two more quilts to be entered to the show. The Wild About Texas quilt was inspired by the beautiful photography of Richard Reynolds. I discussed design and fabric with my friend, Nancy. She was a great help on this Texas quilt. As mentioned in a previous post, the third quilt, Hope, was inspired by an Emily Dickinson poem. Both the Tribute and the Hope, quilt were made from block patterns chosen from Lucinda Ganderton’s book, Block a Day. Since January, I have been anticipating and preparing for the experience of being a quilt show participant. I finished binding the last quilt yesterday. Today, I checked and re-checked each square, seam, and inch of the quilts…more than once! My OCD is on over-drive. I think the quilts are ready to be delivered tomorrow morning. 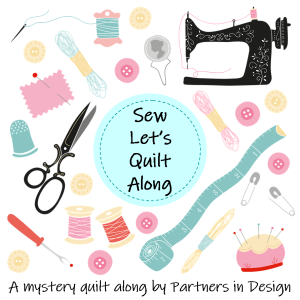 The anticipation as I prepared for this quilt show has truly been very exciting. I would like to thank my family and friends who have put up with my craziness. I would also like to thank my blogging friends for their comments and support. Checking over the fronts and backs of the quilts ONE MORE TIME! Fifty-eight years ago, I was fortunate to make the acquaintance of a very special person. This friendship has seen us through many years, and I value Nancy as a gift in my life. Among her numerous qualities and traits, Nancy is super creative and artistic. Check out her etsy account, ReynoldsCreativeWorks. She is so very thoughtful and generous. and daughter-in-law. Today, in the mail, I received this homemade gift from Nancy. Nancy knows that my granddaughter and I like to journal. So, she made us these cute journals for our trip. The starfish is embellished with the beads and sequins I had given Nancy. They are from my mother’s stash of beads and sequins. The starfish earrings are for me…and I am wearing them already! Protecting the natural landscape was one of her major initiatives as First Lady. The Lady Bird Johnson Wildflower Center is a peaceful and lovely place to visit. I did finish the quilt top today. Now, I will try to design a backing with some of the remnants and a bit of yardage I bought for backing. Many thanks to Nancy and Richard Reynolds. Their friendship and creative works are inspirational.